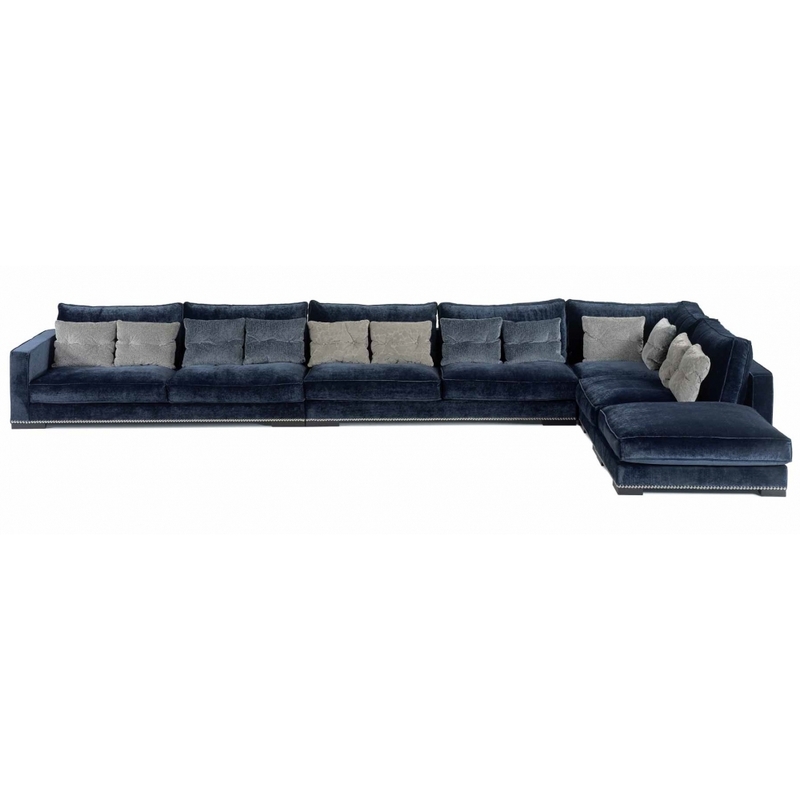 Absolutely beautiful modular sofa, shown here in dark blue velvet. The Picadilly range is new for 2015 and comes in a wide variety of shapes and sizes, please contact us so we can help you create your perfect sofa. Priced for Cat B fabric but available in a huge choice of fabrics and leathers. H 89. W 532. D 337 cm approx.